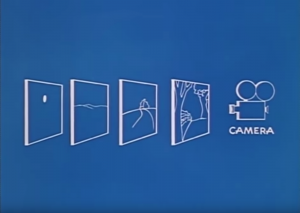 They built a camera system to handle a better way to move in and out of shots. Disney had nine core animators, hired between the late 1920’s and early 1930’s, who collectively worked out much of how animation really worked and still works today. The ‘Nine Old Men’ (… it was the 1930’s, so, sigh, they really were all men) were Les Clark , Milt Kahl, John Lounsbery, Eric Larson, Ollie Johnston, Wolfgang (aka Woolie) Reitherman, Frank Thomas, Ward Kimball, and Marc Davis. Ollie Johnston and Frank Thomas wrote a book called “The Illusion of Life” (https://amzn.to/2OBaJQo) which is an absolute landmark in understanding animation. Anyone interested in learning about animation (or how to make it) should invest in a copy, as well as “Animation” by later Disney artist Preston Blair (https://amzn.to/2U64Ssm). Johnston and Thomas summed up and codified Twelves Principles for Animation that those fellers figured out. These still hold, whether it be 2D, 3D, Motion Graphics, Motion UI or any other kind of animated image.